The web is a harsh environment. With more and more competitors, constant improvements and technological changes, it is now very difficult to stand out. To do so, we must first focus on our strengths and build on them to take over new markets and reach a bigger target! The proof? When starting your own business, one of the first steps after setting your target is to determine how you stand out from your competitors or how you want to differentiate yourself from them. 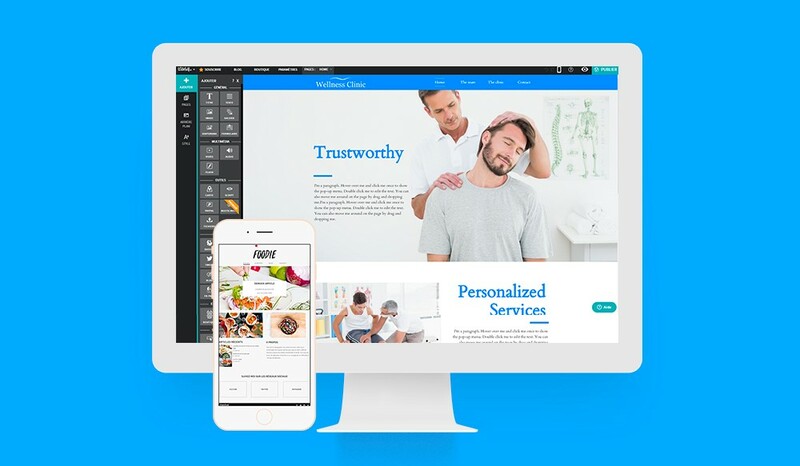 Today, we decided to play along and give you our greatest qualities, how we stand out from our competitors and why you should choose WebSelf when creating your website! WebSelf takes customer support very seriously. Whether it is to connect a domain name, to add a background to your homepage or to get tips for your web presence, our web consultants are easily reachable via a ticket system, chat, or telephone. In addition, they have put together a complete help center to better answer your questions and offer you an awesome service. When you have questions or comments, don't hesitate to contact us! If you are already a WebSelf user, you have probably noticed that the editor is very flexible. You have a multitude of options, features, and tools to customize your website to your image! In fact, with such great flexibility, it is almost impossible to create two similar sites. Use the many features available to you to stand out from your competitors. We have put a lot of love and effort into the e-commerce tool and we are constantly developing and improving it to make sure it lives up to the expectations of users and we are proud of the result. With the WebSelf online store, you can increase your online revenues by selling your physical or digital products directly on your site, in addition to managing your own inventory, payment methods, and deliveries. WebSelf doesn’t take any commission on your sales and we give you several tips and tricks to make your online store successful on our blog! WebSelf stands out with its modern and 100% customizable templates. In fact, we have shy of 200 templates in several sectors of activities. You can easily edit them to fit your business and ensure a stellar web presence! The strength of WebSelf is the quality of the employees behind the tool. Whether it's the management, the graphic designers, the marketing team, the programmers or the customer support, WebSelf is the product of a hard-working team dedicated to their user's success. Indeed, we are constantly working to make the tool even better so if you have comments or suggestions, don’t hesitate to contact us! Ready to start creating your website?